The NHS is going to start offering healthy lifestyle advice to the people most in danger of developing type-2 diabetes. The £7 million programme aims to support 20,000 people across 2016 in a bid to stop them getting the condition. Each patient will get 13 sessions throughout 27 areas spanning half of England to begin with from the spring, the BBC reports. The number of patient spaces will jump to 100,000 as the scheme is rolled out across the remainder of the country by the start of the next decade. 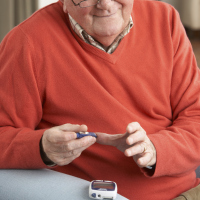 Type-2 diabetes is regularly associated with lifestyle factors, unlike type-1 diabetes. Diabetics travelling abroad need not trust to luck with their health if they take out medical-related travel insurance. This covers round the clock emergency medical cover as well as medication replacements should the worst happen. Family doctors are being asked to play their part in the new initiative. Maureen Baker (Royal College of GPs) says it is challenging to change people's mindsets in the long-term. Dr Baker welcomed the project. Duncan Selbie (chief executive of Public Health England) calls type-2 diabetes among the current day's worst health problems facing the country. Chris Askew (chief executive of Diabetes UK) says the guidance will give people the greatest possible opportunity when it comes to reducing their chances of getting the illness. This should enable them to live longer.